TNT’s Legends, based on the Robert Littell novel of the same name (and with Robert Littell as a consultant on the show) has taken the conflict and intrigue of the novel and pulled it forward ten years while centering it predominantly in the United States. The novel is a globe trotting adventure that encompasses several years as Martin Odum recalls several of his previous legends, while trying to figure out what is truly him, what was his true life, and what he drew from and altered to create the legends he used to successfully in his service to country. 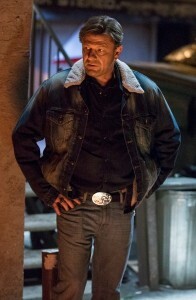 Where the novel centers around a CIA agent who has retired after some injuries and become a Private Detective in New York, the television show takes the same basic character, equally well known for his ability to take on Deep Cover assignments, but he is an FBI agent still actively working for he bureau. It is hard to tell which of the supporting characters on the show directly parallel, or are drawn from characters in the book, in part because some of the first names are kept but many of the surnames changed, but also across the board ages and descriptions are changed. On the show Martin is presented in the pilot as an agent who trusts himself, relies on himself, and has typically built his own legends, and is now learning to be more of a team player. In the book there is a committee that helps create the legends, and some of the conversations there are entertaining as the possibilities are tossed around for how various aspects of the character might have come to be, or how certain things might be explained. Where the television show Outlander is doing such a great job taking the characters almost exactly as they appear in the book and translating them to the screen, Legends, like Cedar Cove, is taking a great many more liberties. Lincoln Dittman is in the book as well as the television show, and while there are similarities to the characters, their backgrounds have a host of differences, from occupation to why they are disenchanted with the federal government. While the various Legends / personas were clearly different and identifiable in the book, Sean Bean does an amazing job on the show of slipping between them, one moment sounding like Martin Odum, and the next his accent changes, his mannerism change, his smile has a different lilt, and before the audiences very eyes a new character appears on screen. The novel Legends kept pulling out new twists, yet through it all I was always confident that Martin Odum was the good guy, and I believed those who knew him and worked with him had every confidence in that as well. There are times in the television show when I think that could be clearer, or if they are taking a different tack I think it could be better shown / explained. In the show he is more of a loose cannon who goes so deep under cover that he only makes contact when he needs something, and it has been implied that others find that hard to trust, but I feel like something more is being hinted at. Either way, the show is shaping up to be more compelling, and more self-contained within each episode than I originally dared to hope for, and the over-all arc for the season looks like it has strong potential, especially if it is in keeping with the main arc of the novel, which I found thought-provoking and interesting. The first episode was darker and more conspiracy driven than I prefer, and the sense of conspiracy crops up from time to time, but not so much that it overwhelms the show or its characters. Rather it has come to feel like a puzzle being solved as one man seeks to remember who he was, and what he was like, before he started slipping into these Legends so often and easily. Martin Odum is a one-time CIA field agent turned private detective in Brooklyn, struggling his way through a labyrinth of memories and past identities- “legends” in Agency parlance. But who is Martin Odum? Is he a creation of the Legend Committee at the CIA’s Langley headquarters? Is he suffering from multiple personality disorder, brainwashing, or simply exhaustion? 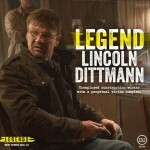 In Legends, Bean plays Martin Odum, an undercover agent working for the FBI’s Deep Cover Operations (DCO) division. Martin has the uncanny ability to transform himself into a completely different person for each job. But he begins to question his own identity when a mysterious stranger suggests that Martin isn’t the man he believes himself to be. Legends also stars Ali Larter (Heroes) as Crystal McGuire, a fellow operative who has a history with Martin; Morris Chestnut (American Horror Story, Nurse Jackie) as Tony Rice, a smart, quick-witted and charming DCO agent; Tina Majorino (Grey’s Anatomy, Veronica Mars, True Blood) as Maggie Harris, the newest member of the DCO team; Steve Harris (The Practice, Awake) as Nelson Gates, the director of the DCO Task Force; and Amber Valletta (Revenge) as Sonya Odum, Martin’s ex-wife; and Mason Cook (The Lone Ranger) as Martin’s pre-teen son, Aiden. 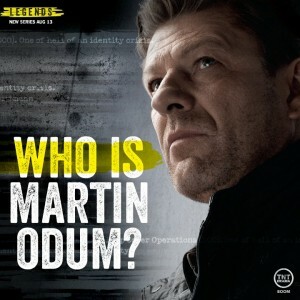 As Martin tries to find answers to the questions about his identity, he must also continue his primary job as an undercover operative, taking on such roles as a Serbian extremist, a Scottish soccer club executive, a corrupt Chicago police officer, British special forces colonel and a legendary computer hacker. There are many times, however, when he must choose between the demands of his job and his desperate desire to solve the mystery of his own identity. And he doesn’t always make the right choice. This entry was posted in Novel, Review, Television and tagged Ali Larter, Amber Valletta, American Horror Story, Awake, Cedar Cove, CIA, Deep Cover Operations, FBI, Game of Thrones, Grey's Anatomy, Heroes, Legends, Lone Ranger, Lord of the Rings, Martin Odum, Mason Cook, Morris Chestnut, Nurse Jackie, Outlander, Revenge, Robert Littell, Sean Bean, Steve Harris, The Practice, Tina Majorino, TNT, True Blood, Veronica Mars on September 18, 2014 by A Novel Approach.